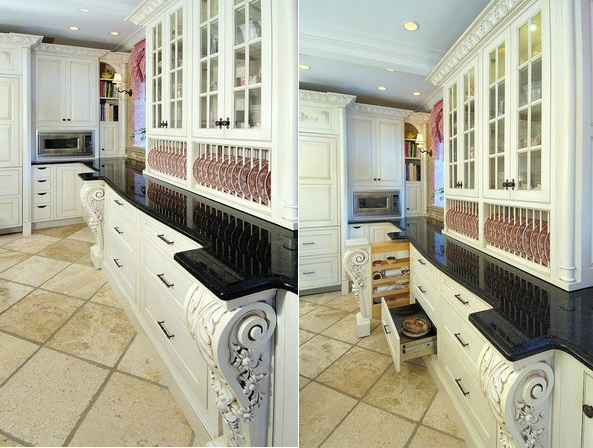 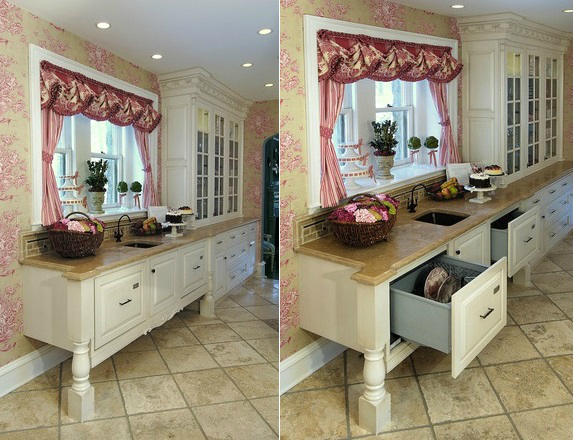 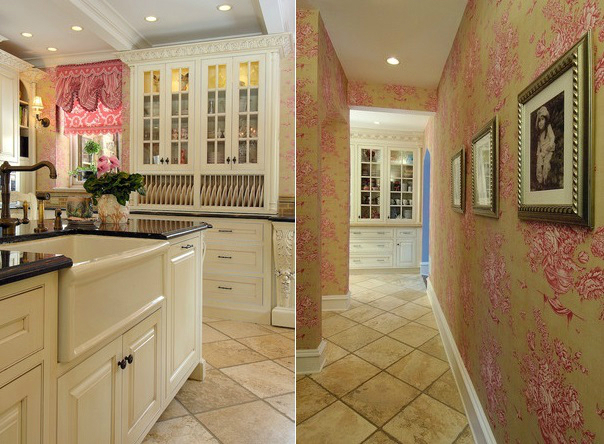 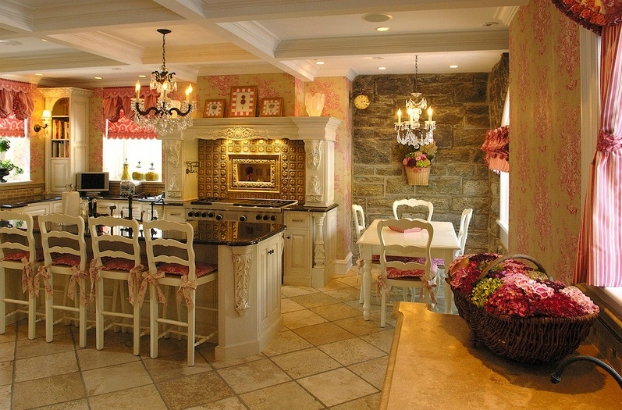 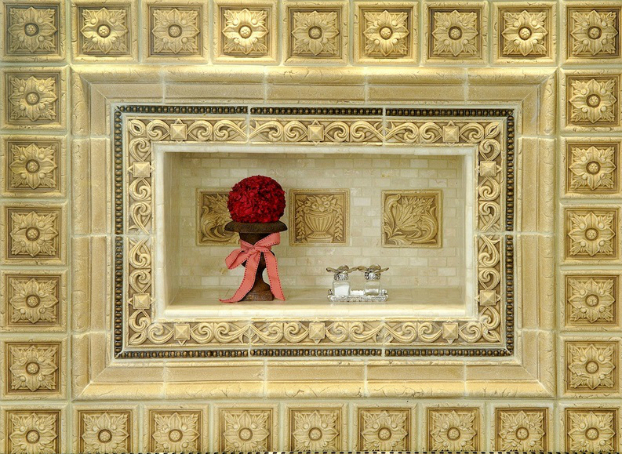 This pink and gold formal kitchen designed by Dave Stimmel, shines with traditional detailing. 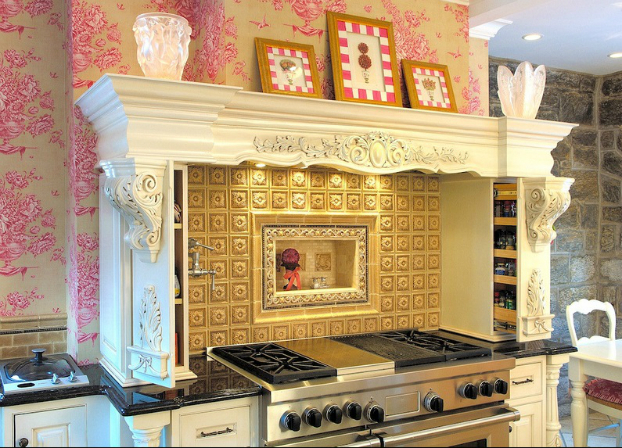 Touches of Old English decor give a formal feel to this traditional pink and gold kitchen featuring a white, hand-carved mantelpiece. 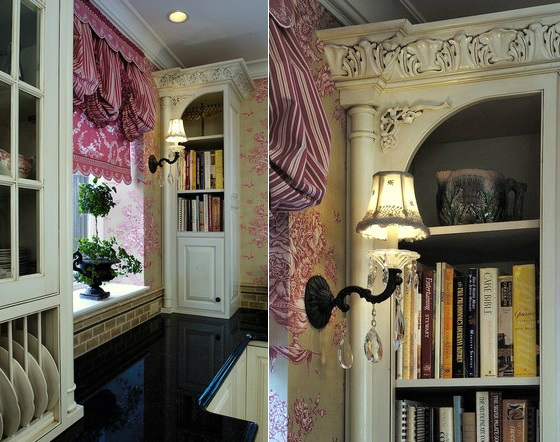 The pink stool cushions reflect the soft colors of the floral wallpaper. 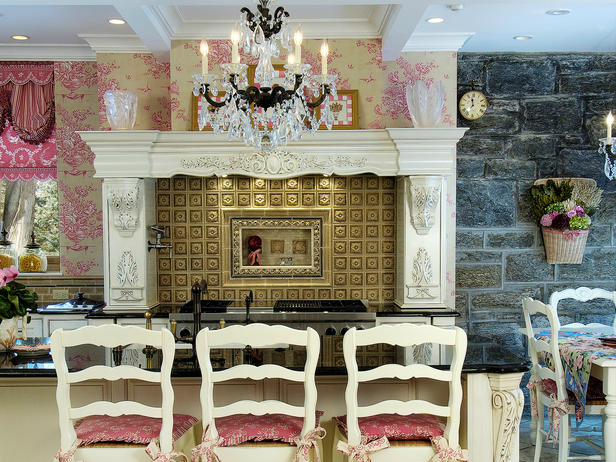 An ornate crystal chandelier reflects the elegance and unique use of color in the space. 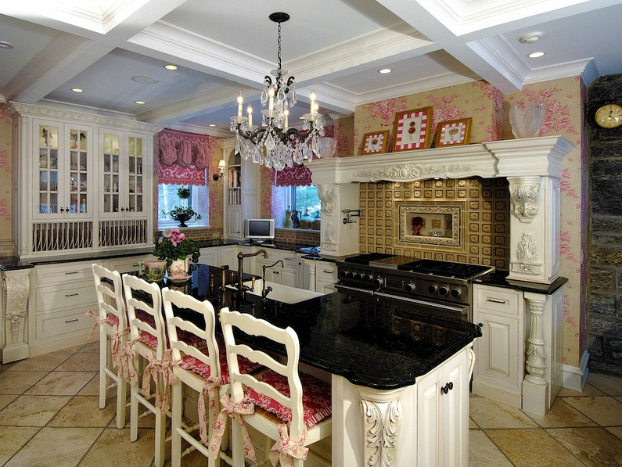 The chandelier shines on the gold backsplash, while pink chair cushions accent the floral wallpaper.